New customer， new business partner, new friendship! - China Foshan Nanhai Flamemax Catering Equipment Co., Ltd.
Home » News » Flamemax Factory News » New customer， new business partner, new friendship! New customer， new business partner, new friendship! This week, we have some new customers from European country. 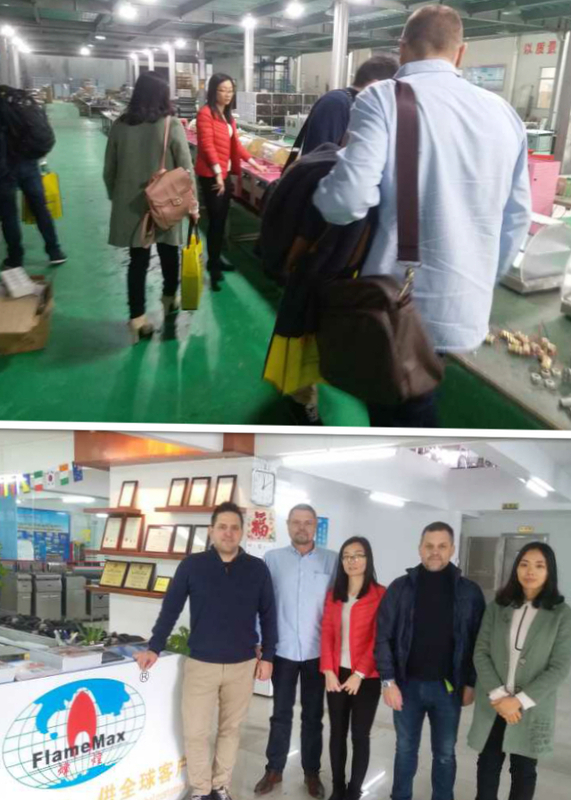 After visiting our factory, we built a long-term business relationship.They are very happy that our factory is reliable, and the quality of our products is excellent. After they compared with so many factory,they felt so upset that no factory can meet their requirements. They said, they are surprised that our factories are so much better than the other factories they have visited. They were very satisfied with the quality of our products, our profeesional service and the consifition we offer.Alrougth our price not the cheapest they got, the quanlity is the best. We are not only feel proud of what they said,but also be greatful for customers' same developing strategic target with us.